If you wanted a free lesson on how to destroy a football team, watching Stone Cold Sean McDermott attempt to do just that this week was your education. All the preseason deals aside, the central problem still remained – no franchise QB. Tyrod Taylor is useful but you’re not going to the playoffs/Super Bowl with him at the helm. McDermott made a lot of bold moves but he did nothing to resolve that key QB issue. Actually, he did make an effort – drafting and falling in love with Nathan Peterman. I could tell McDermott was falling head over heels for Peterman back in the preseason. Peterman is the classic old-school head coach trap door QB. He does all the right things – comes in early, stays late. He’s a grinder. He runs the playbook without question. He doesn’t improvise. He calls you ‘Sir’. McDermott, like most defense-oriented coaches, has little understanding (or use) for the offense. If they could, they’d run the ball 75 times a game and never pass to protect their defense. So, instead of seeking a QB to make plays…they look for QBs that take ‘direction’, are ‘coachable’. Enter the ultimate future NFL backup/head-fake NFL starting QB Nathan Peterman. Perhaps, with some offensive wizardry, like from a Sean McVay, given a few years, Nathan Peterman might be a moderately useful NFL starting QB. Maybe. However, put him with a defense-first staff and don’t work him with the 1st-team much…and then throw him into the starting lineup midseason as a rookie – I don’t know what you’re thinking. Tyrod Taylor is not great, but he’s decent. He’s experienced. He’s 5-4 as the team’s starter this season…and a playoff qualifier had the season ended last week. His mobility allows him to make plays given McDermott’s unimaginative offensive philosophy. Tyrod is kind of a perfect fit for this squad. Sean McDermott, not sensing any of that, led with his heart and pushed Peterman as a temper tantrum to get his team jump started. Peterman is what McDermott wanted all along but part of this is throwing a fit in a two-game losing streak. So, McDermott pulls the experienced, mobile, team captain/beloved QB…and inserts an unproven, untested, not who the locker room wanted at QB -- Nathan Peterman. If you do something this radical you better have a great QB you’re shoving in…but McDermott didn’t have that. The move was obvious even to the mainstream football media…they asked ‘why’ all week and all Sunday? The team was not happy about it either. If you’re going to go against everyone on your team and against the critics you better be right or you’ll lose all credibility with everyone. If you’re going to make such a move, certainly you wouldn’t do it going to L.A. to face one of the best pass rushes in the NFL…and throw your kid into that fire. McDermott did just that. It’s maybe the single worst QB move I’ve seen in my entire football study career. The wrong move at the absolute wrong time. *McDermott is a total fool. An offensive/QB evaluating idiot. *McDermott is arrogant beyond anything we’ve seen among the gaggle of arrogant head coaches…this one takes the cake. McDermott said this was his call and not that of the coaches or players. So, he basically did something no one wanted…took credit for it all himself ahead of time – because I’m sure he thought he was brilliant. And it turned out to be one of the worst decisions in the history of football. Not only has McDermott lost credibility with the media…he’s now lost credibility with the fans, his team, his coaches, his captain/QB (Tyrod), likely his bosses/the owner and he’s destroyed Nathan Peterman, probably, for life. Really smart move. Way to read the room, Sean. Buffalo still has a chance at the playoffs because so does everyone in the AFC, but the schedule ahead will likely take the Bills out…but the loss of credibility and confidence from his organization will also finish the job. You think free agents are going to want to come and play for this mindset of a coach in that non-glamorous, high tax/cost of living city? It’s OK because McDermott only wants ‘his guys’, like Nathan Peterman…he doesn’t want any lauded free agents anyway. This Buffalo situation just went from ‘promising future’ to ‘dead money’ in a matter of one week. This will not end well. Sorry, Buffalo. However, you still might make the playoffs if you can get to 8-8! The Computer projects 7-9. The Chargers, on the other hand, are not only back in the wild AFC wild-card race…they are back in the AFC West title picture as well, as KC collapses. If LAC can knock off a wounded Cowboys team and get to 5-6, and then 10 days off to a win hosting Cleveland…and then get a win versus Washington coming west for Week 14 – the 7-6 Chargers head to (possibly) 8-5 Kansas City for a Week 15 showdown. Knock off KC and things get interesting. I doubt the Chargers can run the table ahead but 8 wins is very possible…and 8 wins is all it takes to have a great shot at the AFC wild card. The Computer still projects 7-9 for LAC…but 8-8 coming into view. The Computer also sees Buffalo, with Tyrod Taylor at QB, as more likely to get to 8-8 than the Chargers given their schedules. -- Obviously, the big story here was our strong call of the L.A. Chargers DST as a top start, a top pick up…worthy of ditching the LA Rams DST, among others. Many FFM’ers have the Steelers DST and picked up the Chargers per our recommendations last week. After the Steelers had a fantastic night on TNF, there was much wailing and gnashing of teeth about not starting the Steelers. Two defensive TDs in the books. Very nearly three, almost 4 defensive TDs. Five first-half interceptions. I’d like to say I saw all this coming but I never imagined it would have been that good. As a reminder, if anything – I know defenses. One of the benefits of watching and re-watching all this stuff daily, and all year round…I get a good feel for units. When I have time to really study the data, I spot trends. Because I also have great scouting of QB ability…I know which QBs are soft targets combined with what defensive units are emerging. With all that, The Computer takes all the data and looks at schedules and finds opportunity. 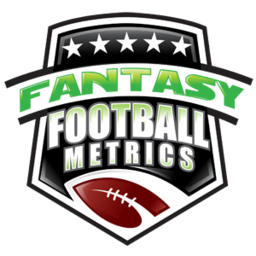 What other fantasy analyst had the Jags and the Steelers defenses as top 5 units for 2017? Crying about my Patriots as the #1 DST play? Take a look at what they’ve done the past 6 games. At just the right time we found the Chargers DST in-season…combined with knowing the Nathan Peterman move was a massive mistake. The other secret sauce – holding the LAC DST thru next week to have them for your critical Week 13’s with them facing DeShone Kizer. Those of us scuffling at 5-6/6-5 or whatever, a game back or tied trying to make the playoffs or win a division – having a DST edge from the Chargers Weeks 11 and then 13 may save the season/get us into the playoffs. Kelvin Benjamin (1-20-0/1) was carted off with a knee injury. Jordan Matthews is hurt. Zay Jones (4-68-0/7) is back from injury. Before Tyrod was benched and Jones was hurt, there was a nice chemistry building with Tyrod and Zay. They reconnected in some garbage-time here. Zay Jones will be a semi-interesting WR3, free agent option to debate next week for those in need. I love Zay but this passing game is brutal. Charles Clay (3-27-0/4) goes from guy I wrote off with Peterman – to going back to solid TE1 option with Tyrod. Clay dropped a TD pass in this one, FYI. Clay and Zay are who Tyrod seems to have the most rapport with. -- This game got messed up in a hurry, but I didn’t sense, early on, that Austin Ekeler (6-40-1, 2-18-0/2) had some new, important role carved out coming off his two TD week last week. It was right back to Melvin Gordon as ‘everything’. Ekeler did score a TD, but it was very late in the depressing garbage-time. -- Speaking of no role… Tyrell Williams (1-11-0/1) caught his one pass of this game, headed upfield trying to get a first down and leapt a defender who was not that low…he looked like Michael Jordan taking off. Tyrell stuck the landing and proceeded to get the 1st-down. It was an example of how truly athletically gifted he is. Williams, I’m sure, enjoyed watching Keenan Allen (12-159-2/13) get 13 targets to his 1. Things will never change for Tyrell unless Allen is out/hurt…and even then I’m not so sure. Tyrell is having a possible great, lucrative career ripped away from him by this QB and coaching staff. It’s also why we don’t think LAC will get to .500/the playoffs…too many wasted opportunities going to Gordon and Allen. -- Chargers DB Adrian Phillips (6 tackles) led the Chargers in tackles in this game. His tackle counts the last 4 games: 8-12-0-6 (6.5 per game, even with an egg in there). Phillips is only working about 40-70% of the snaps in games but he’s making the most of them. Not sure there is true IDP hope here but something we’re watching.